Our trusted Ball and Kerr Brands of Fresh Preserving Canning Lids have been crafted for quality for generations. When it comes to canning, there’s nothing more important than a quality seal. It ensures that no oxygen gets into the canning jar after processing and that your food will remain preserved just the way you created it. The manufacturing facility in Muncie, Indiana produces each canning lid with pride. Ball use a custom, time-tested sealing compound so you get a quality seal. And we use an underside coating on each lid so that the natural acids in your food will not react with the lid. And the canning jars and lids have been made here in the U.S. for more than 125 years. So you can trust that each jar is every bit as genuine as the creation inside it. Lids need to be replaced if they have been used for hot preserving (pressure canning or water bath). Lids are reusable multiple times for dry storage and freezing. 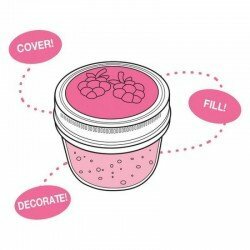 USA Made BPA FREE single piece lid to use with all 43 mm continuous thread jars. Lid size is 43mm. Colour varies according to availability and the lid has an internal seal allowing the jar to be used for usual preserving purposes. 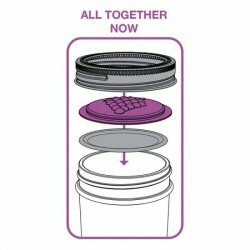 The seal is robust enough that the lids can be reused multiple times.Easy screw on lid. BPA free. Reusable multiple times. Use in water bath or for storage containersSold singly. Bottles not included.Lids are not stainless steel. Hand wash only. Do not put in dishwasher. Dry thoroughly immediat.. These bands have a small scuff on the outside lip of the band: this will not affect the function of the band.Bands should always be removed from heat processed jars once they have cooled, washed and dried for ongoing use.Ball Wide Mouth Bands for preserving fit all wide mouth (86mm) glass preserving jars. 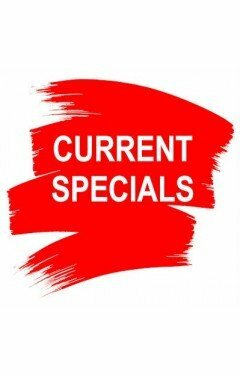 Seal in the freshness and enjoy freshly made foods tonight or tomorrow. Bands can be reused multiple times although some preservers like to store their jars with the bands on.Single bands available for individual purchase if you do not wish to buy a box of 12 lids an..
10 x Reusable Silicon Preserving Food Safe Seals Suit Ball Mason Stainless Steel Regular Mouth Lids.​ These are of the highest quality silicon and contain NO BPA (Bisphenol A).Fit 70mm Mason jar lids. ..
10 x Reusable Silicone Preserving Food Safe Seals Suit Ball Mason Wide Mouth Lids.​ These are of the highest quality silicone and contain NO BPA (Bisphenol A) ..
Ball Regular Mouth Lids for preserving fit all regular mouth glass preserving jars. Seal in the freshness and enjoy freshly made foods tonight or tomorrow.Lids should be for one-time use only. Includes 12 lids (the flat disk section only of the 2 piece lid). If you also require replacement bands, we also sell packs of lids and bands.Lids are lined with a food safe lining which is BPA free. These lids are 70mm. If you need 86mm the correct size to order is the wide mouth version.Lids are not stainless steel. Hand wash only. Do not put in the dishwash..
Silicone Seals for Flip Top Bottles Pk of 12Suit our oil and vinegar bottles as well as flip top beer bottles .. Stainless Steel Clamps / Clips Suit All Weck Preserving Jars pack of 12The perfectly calibrated stainless steel clamps fit universally on all Weck jars. These are of the highest quality and contain NO BPA! (Bisphenol A) Weck glass jar lids are the only preserving lids in the world that can be reused thousands of times! Suitable for water bath, and pressure canning! With the added bonus of being able to freeze and bake! (Baking in the jar is not possible with Ball Mason or Fowlers Vacola) The most versatile and beautiful preserving j.. Recycle your supermarket-bought bottles and jars!Please note that colour of the lids may not match the stock on hand. Most lids are black or gold. You must specify if you require a particular colour as we may not hold both colours on hand at all times.Item Description1 packet of size 38mm screw top lids. Available in packs of 10, 25 and 50.These fit a range of sauce bottles, including Fowlers Vacola sauce bottles, Masterfoods sauces and marinades.Ordinary jars that you buy at the supermarket for products as diverse as olives to sauces to pickles, from br.. Easily identify your different fruit creation with the range of fruit jam lids: this one depicts berries on the lid, which sits on top of the standard Ball lid and under the band. Do not put the berry lid in place until after you have processed your jars in a water bath and the lids have sealed at which time you can remove the band, insert the lid and then reattach the band.Fits regular mouth jars Recommended jar size: use with quilted jars and any other regular mouth jar BPA Free Food Safe Dishwasher Safe Jar and contents not includedYou need a mason jar with a 2 piece.. Easily identify your different fruit creation with the range of fruit jam lids: this one depicts grapes on the lid, which sits on top of the standard Ball lid and under the band. Do not put the lid in place until after you have processed your jars in a water bath and the lids have sealed at which time you can remove the band, insert the lid and then reattach the band.Fits regular mouth jars Recommended jar size: 16 oz (pint, pictured) but can also use with quilted jars and any other regular mouth jar BPA Free Food Safe Dishwasher Safe Jar and contents not included (select the .. Easily identify your different fruit creation with the range of fruit jam lids: this one depicts a strawberry on the lid, which sits on top of the standard Ball lid and under the band. Do not put the lid in place until after you have processed your jars in a water bath and the lids have sealed at which time you can remove the band, insert the lid and then reattach the band.Fits regular mouth jars Recommended jar size: use with quilted jars and any other regular mouth jar BPA Free Food Safe Dishwasher Safe Jar and contents not includedYou need a mason jar with a 2 piece .. Recycle your supermarket-bought bottles and jars!Lids are generally gold, white, silver or black.You must specify if you require a particular colour as we do not hold all colours on hand at all times.Item Description1 packet of size 43mm screw top lids. Available in packs of 10, 25 and 50.These fit a range of sauce bottles and small jars.Ordinary jars that you buy at the supermarket for products as diverse as olives to sauces to pickles, from brands such as IXL, HomeBrand and Raguletto can be recycled for preserving use..Safe preserving requires new lid..
Packet of size 48mm Twist Top LidsRecycle your supermarket-bought bottles and jars!Please note that colour of the lids may not match the stock on hand. Most lids are black, white, silver or gold. You must specify if you require a particular colour as we do not hold all colours on hand at all times.1 packet of size 48mm screw top lids. Available in packs of 10, 25 and 50.These fit a range of sauce bottles and jam jars.Ordinary jars that you buy at the supermarket for products as diverse as olives to sauces to pickles, from brands such as IXL, HomeBra.. Recycle your supermarket-bought bottles and jars!Please note that colour of the lids may not match the stock on hand. Most lids are black, white, silver or gold. You must specify if you require a particular colour as we do not hold all colours on hand at all times.1 packet of size 53mm screw top lids. Available in packs of 10, 25 and 50.These fit a range of small to medium jars.Ordinary jars that you buy at the supermarket for products as diverse as olives to sauces to pickles, from brands such as IXL, HomeBrand and Raguletto can be recycled for preserv..